Unfortunately, Venus doesn’t have rings. It also doesn’t have any moons; although, Venus might have had a moon in the past, but it probably crashed back into the planet billions of years ago. For a planet to have rings, it must have formed further out in the Solar System, where water ice would be able to freeze into chunks of ice. 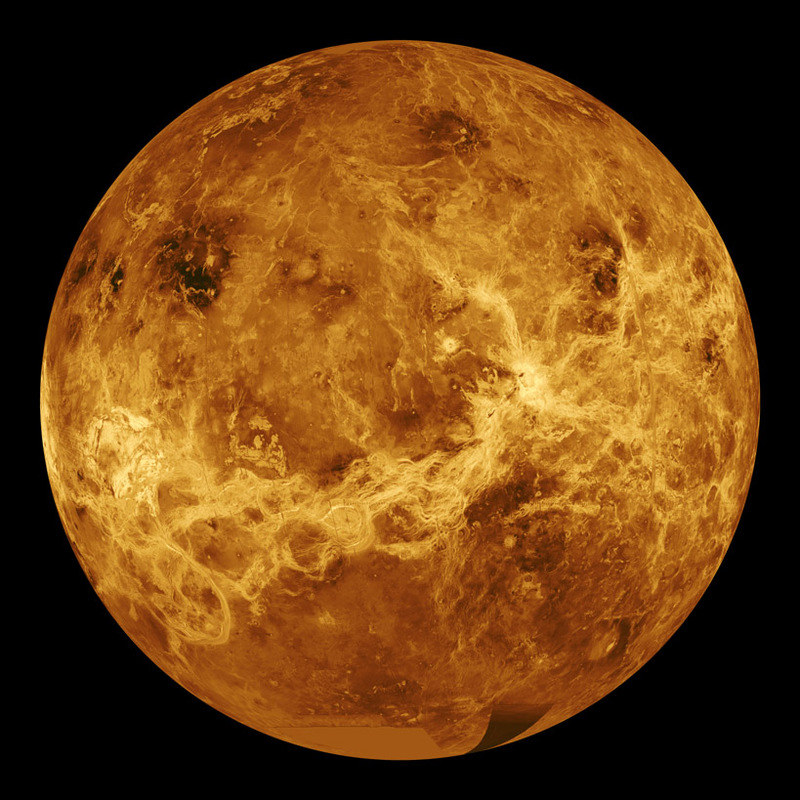 It’s too warm around Venus, so that any water would be a gas or liquid. It would either collect into oceans, like Earth, or be pushed out into deeper space by the Sun’s solar wind. Another way that planets can have rings is when micrometeoroids smash into a small moon. If the moon is really small, like Pluto’s moon Nix, material ejected from the meteoroid impact will just float off into space and form a ring around the planet. There are several moons around Saturn which create rings in this way, and scientists think that Pluto’s moons might form rings in the same way. Sorry, no rings for Venus. Previous PostPrevious Does Pluto Have Rings?